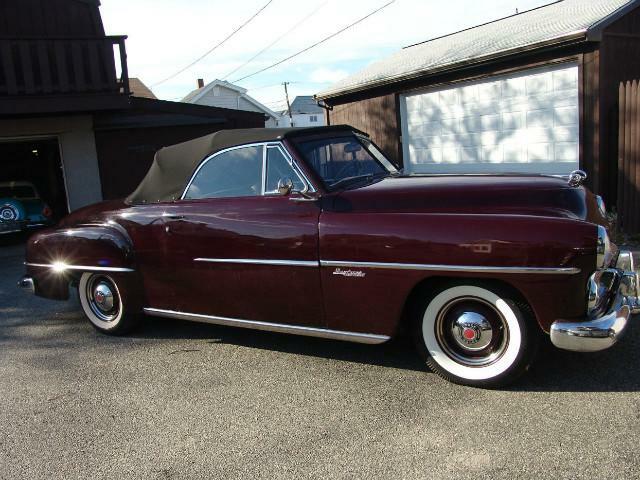 1951 Dodge Wayfarer Sportabout Roadster, one of 1005 produced by Dodge in 1951. It has 41,123 original miles, runs and drives perfect. It has obviously has a gentle pampered life. This is a very nice rust free, original car that is a joy to drive. The paint is far from perfect but it still looks great. Too Late, SOLD< It is off to a collection in West Texas.